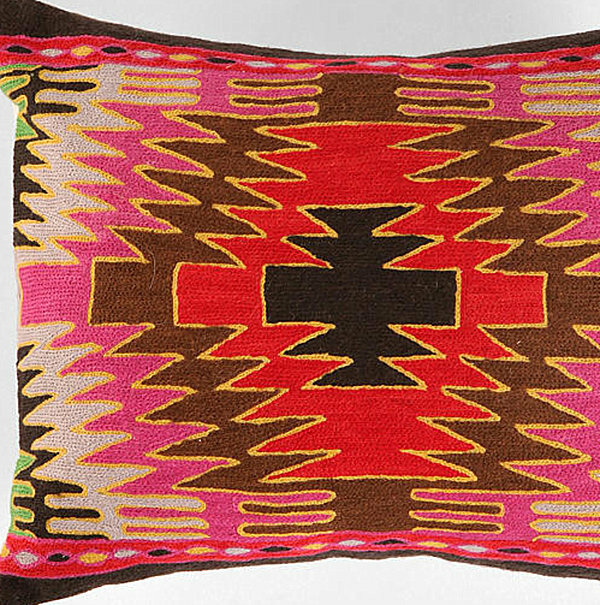 Aztec-inspired rugs, Southwestern pillows, and kilim-influenced textiles… Not only have tribal patterns appeared on clothing and artwork, they’ve found their way to our interiors! 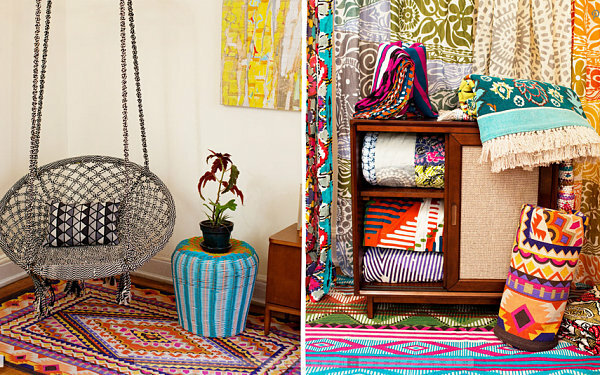 These bold designs add intrigue and vibrancy to our spaces, as shown by the assortment of tribal finds below. However, some popular tribal motifs involve understated hues that let the angles and lines of the pattern take center stage. 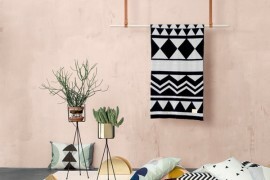 Whether you’re a color enthusiast looking for those va-va-voom pieces or you prefer to keep it simple and subtle, consider embracing the tribal design trend. Never has geometry been so compelling! Who says the tribal fun should be confined to the floor? 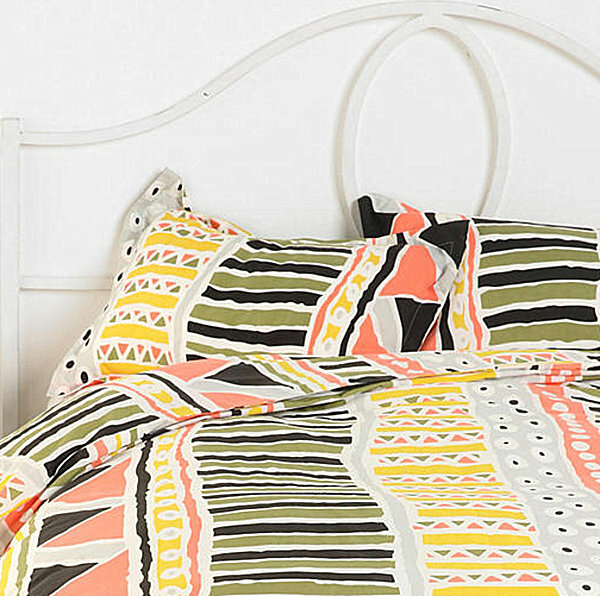 With a pattern identical to the rug above, a Southwestern-inspired design is brought to the world of bedding with the Magical Thinking Bracelet Stripe Duvet Cover. 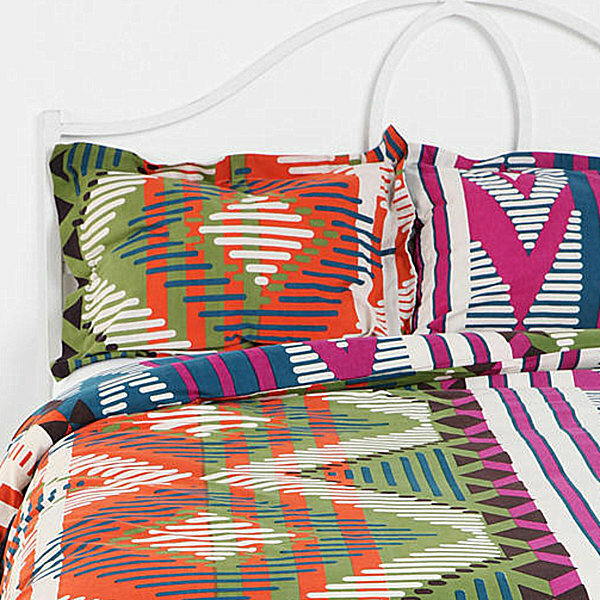 Triangles and stripes combine in the Bauhaus Stripe Duvet Cover. The bedding’s would-be soothing palette is given a healthy jolt by a sunny dose of yellow. 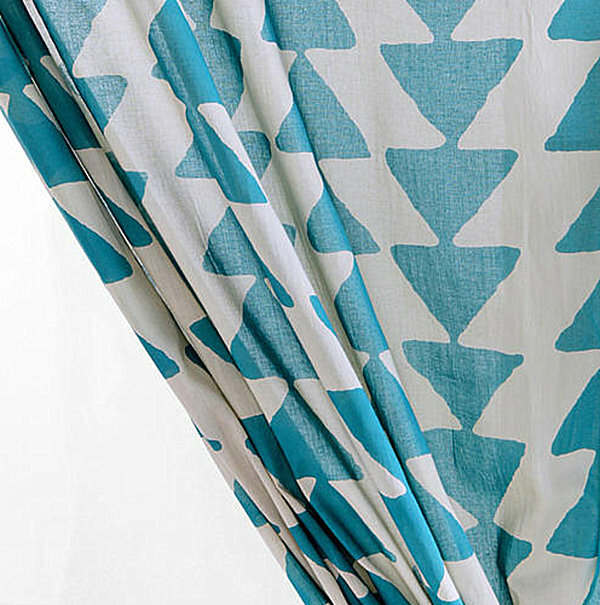 The Magical Thinking Triangle Chain Curtain uses rows of connected turquoise triangles to create an arrowhead effect. These geometric stripes are unforgettable! 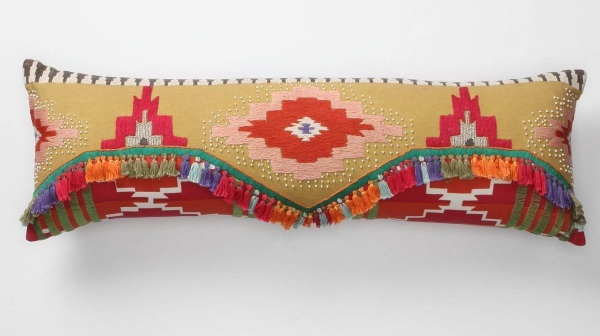 The Magical Thinking Diamond Kilim Pillow is made of wool and cotton. 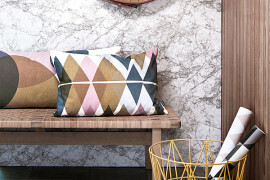 Zigzags and yellow outlines ensure that each aspect of the pattern gets noticed. Don’t think Urban Outfitters is the only retailer currently spotlighting the tribal trend! 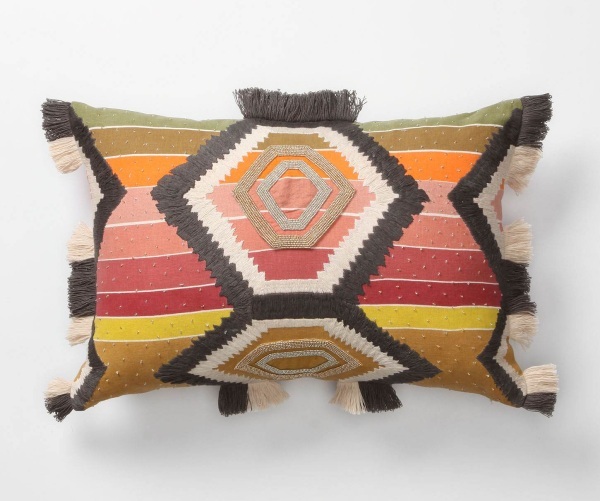 For example, Southwestern motifs and vibrant hues capture our attention in the Jacinto Pillow, Bolster from Anthropologie. Or maybe it’s the addition of tassels! Colors like bright red, hot pink, orange and teal bring this piece to life. Similarly, the Jacinto Pillow, Rectangle from Anthropologie strongly proclaims its tribal motif against the backdrop of speckled stripes. The fringe doesn’t hurt, either! In the image below from Amber Interior Design, a multi-colored rug is the perfect backdrop for furnishings in neutral shades. Not only does the rug add a dose of personality to the space, it serves as a bright contrast to an otherwise subdued palette. 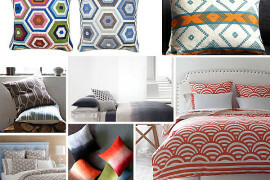 Some design enthusiasts prefer a more muted color palette when it comes to tribal design. In fact, sometimes a “less is more” approach conveys a clean, modern look. 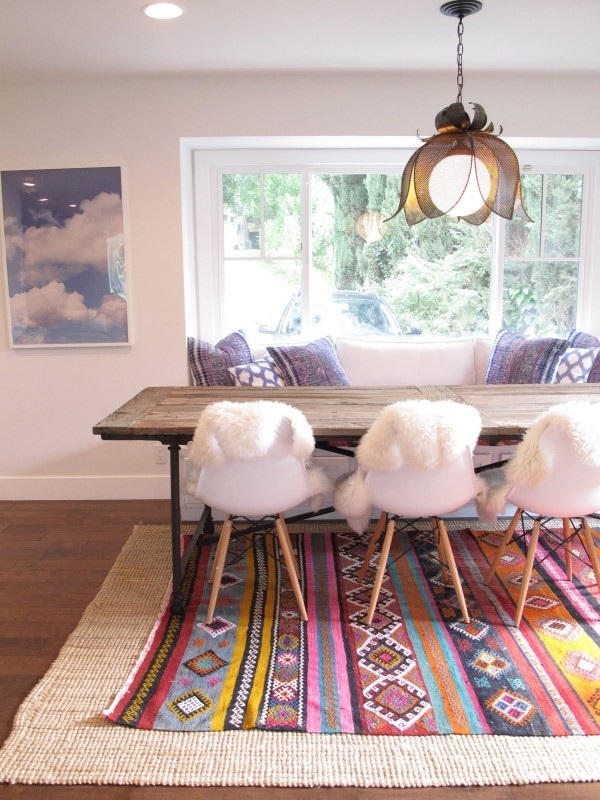 For example, black and white ideally combine in the Kite Kilim Rug from West Elm. The piece’s handwoven diamonds create just the right amount of repetition in this contemporary space. 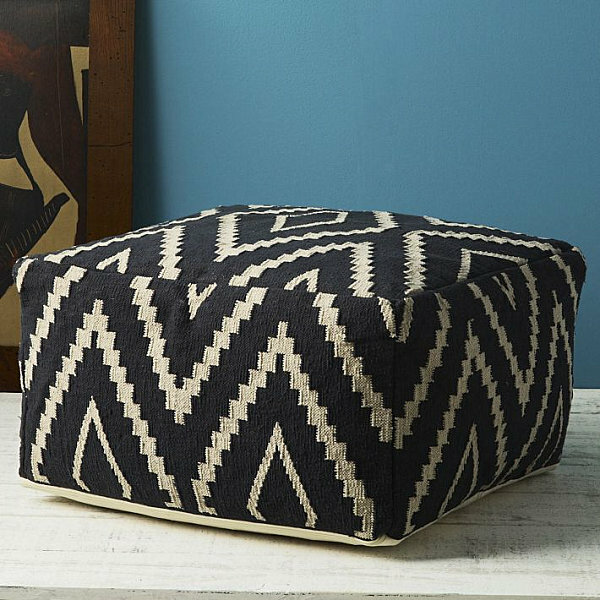 Boasting the same pattern featured in the rug above, the Kite Kilim Floor Pouf from West Elm showcases a black and white design that has the ability to blend well with a multitude of colors! However, our guess is that this small piece will always steal the show! 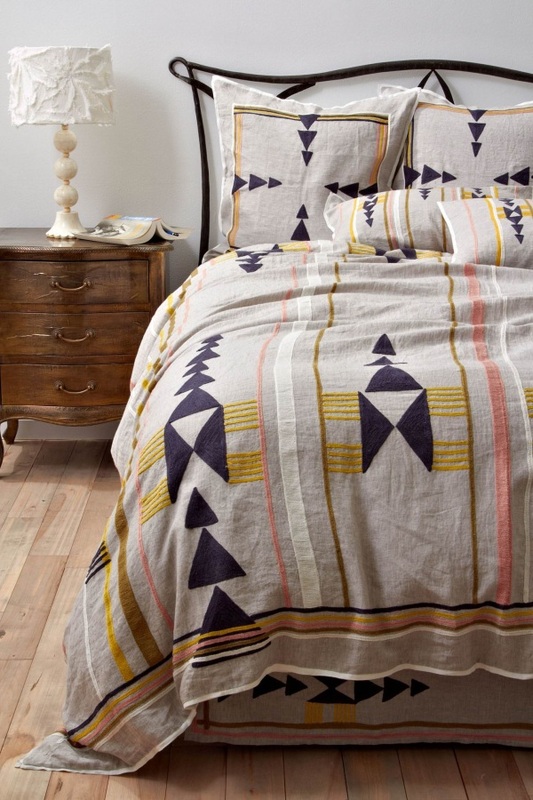 Linen and desert colors merge in the Isleta Bedding from Anthropologie. 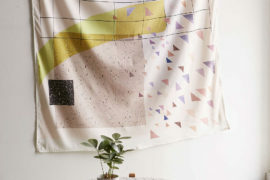 Black triangles and lines are a nice counterpart to the pattern’s softer hues. 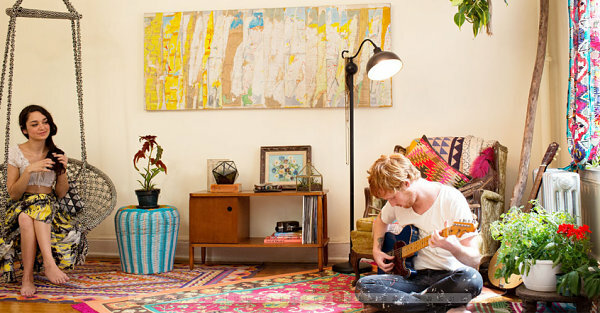 Tribal draperies are an amazing way to bring character-filled patterns to the walls. 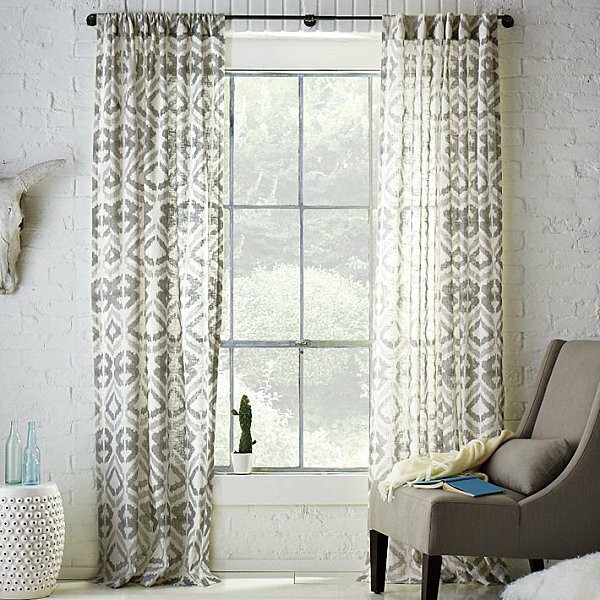 Take the Tali Printed Window Panel from West Elm, inspired by a traditional ikat weave. A grey and white palette makes the fabric “neutral,” yet a print this bold is anything but plain. 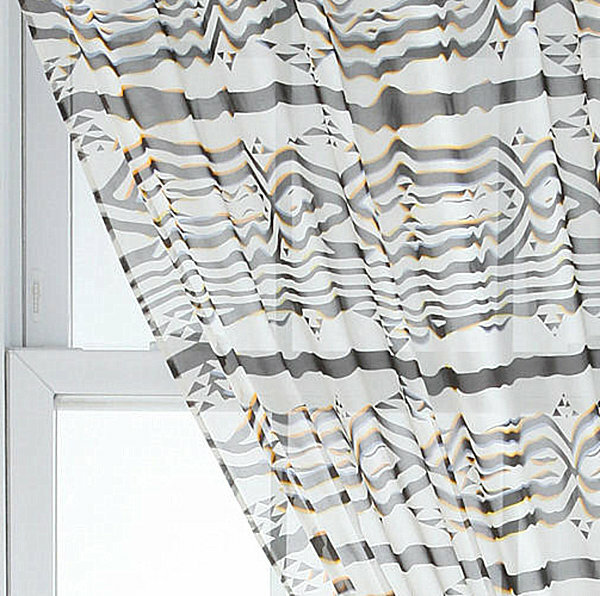 The lines are beautifully blurred in the Scandances by Prince Ruth Print 546 Curtain from Urban Outfitters. Designer Zoe Latta brings her design to semi-sheer chiffon, as shown below. 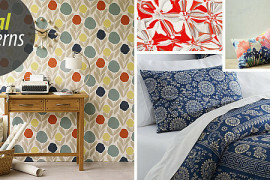 Once again designer Zoe Latta wows, this time with her Scandances by Prince Ruth Print 510 & 67 Pillow. The subtle geometry unfolds with a dash of peach and a pattern that conveys movement with every fleck. 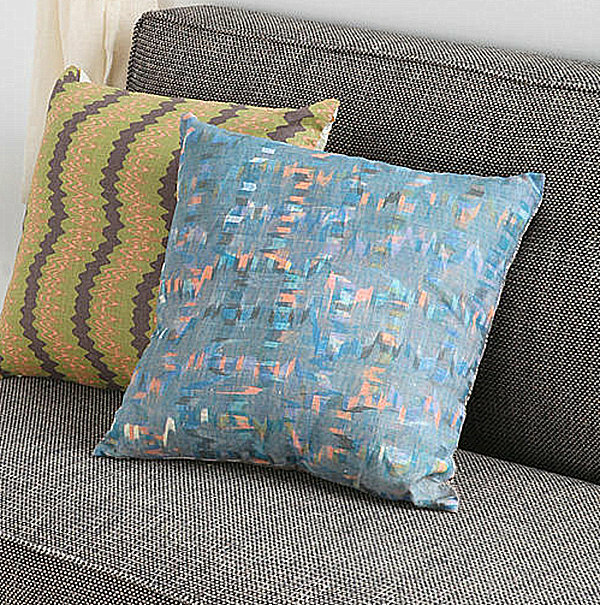 For a customizable statement, check out the Arrow Pillow Cover from West Elm, inspired by motifs in ancient Aztec art. 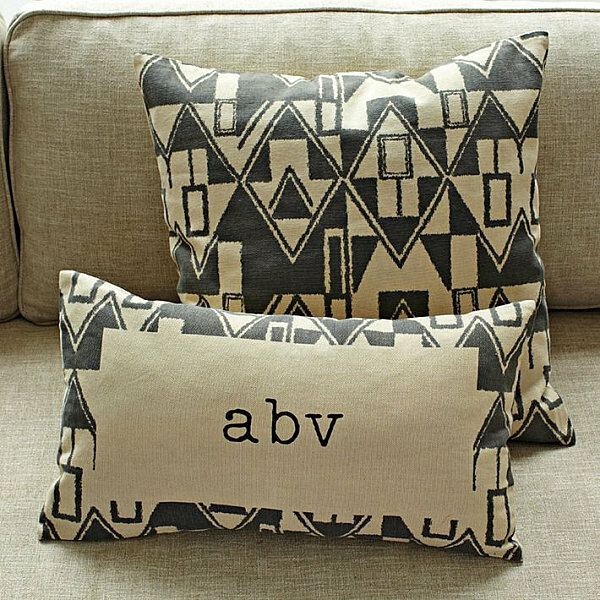 For a fun addition, have your pillow monogrammed! 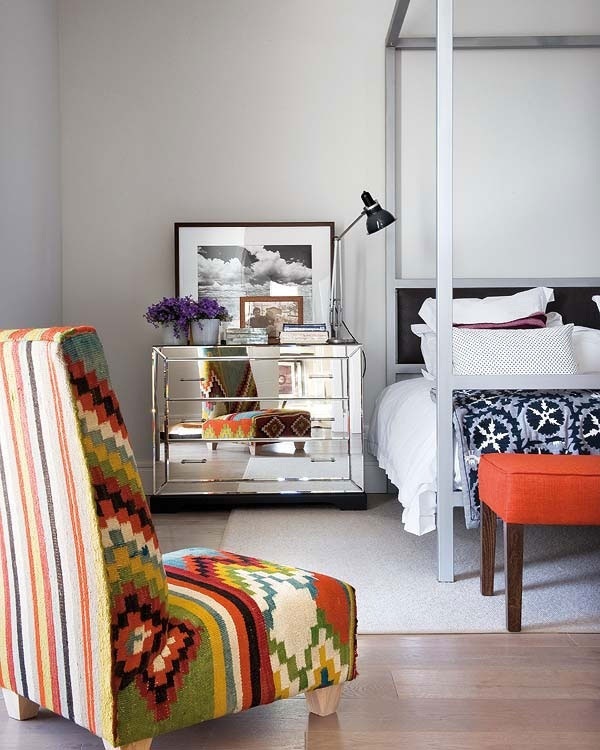 As you can see, upholstered seating is a favorite canvas for tribal patterns. 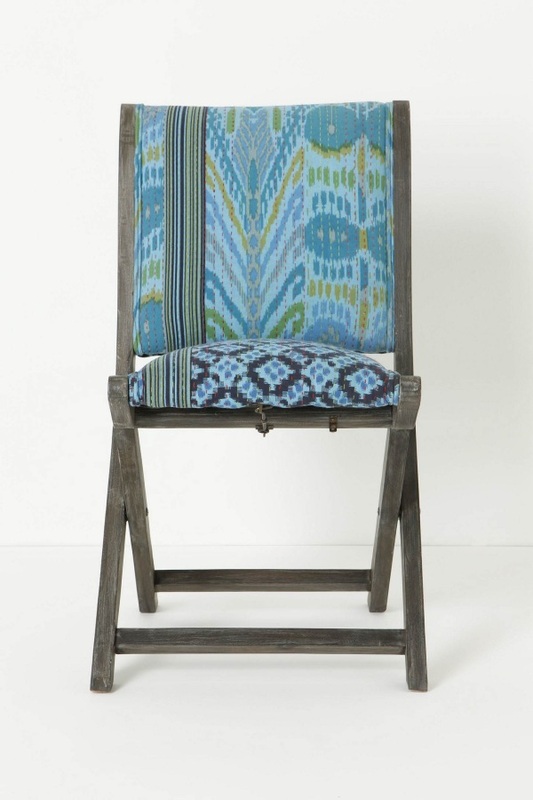 Take the Overdyed Terai Chair in Turquoise from Anthropologie, complete with Kantha-style embroidery and soothing blue tones. 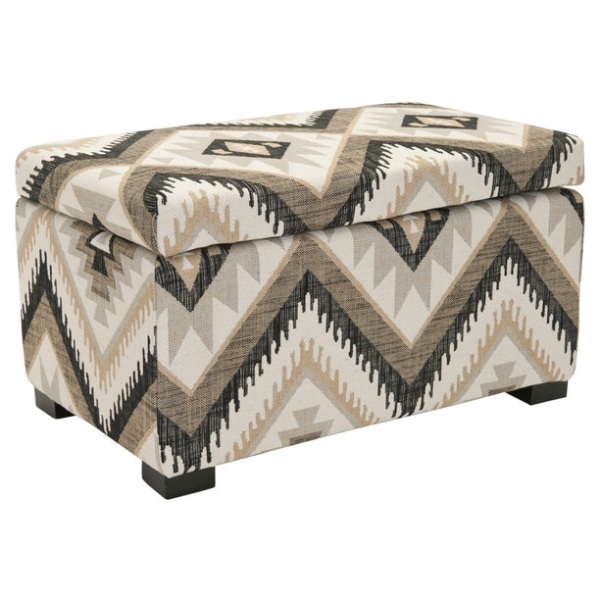 We don’t know what we like best about the Safavieh Southwest Viscose Storage Bench–the Navajo-inspired pattern or the fact that the piece doubles as effective storage! This furnishing is available at Overstock.com. 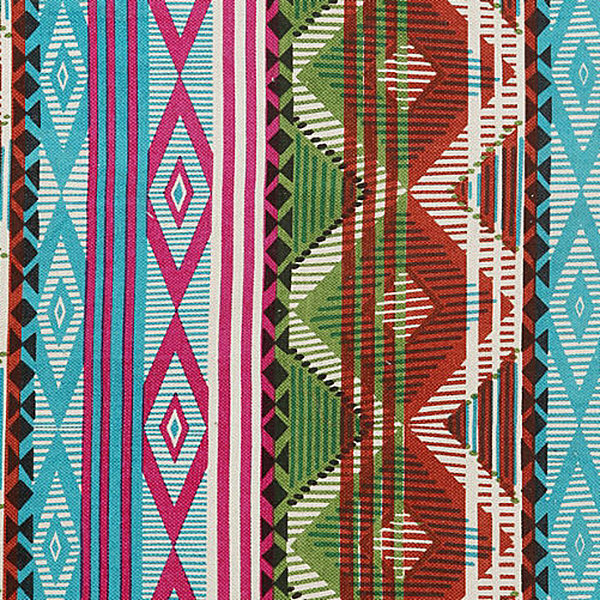 While tribal patterns like ’80s Southwestern prints were once forgotten by the masses, today’s revival emphasizes their no-holds-barred design appeal. 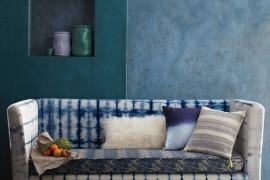 Not to mention, many current patterns deliberately highlight the energy of tribal style with in-your-face colors that get noticed. The result: a modern (and sometimes cheeky) take on tribal style. If you’re a fan of interesting angles and forms, this design trend is for you!